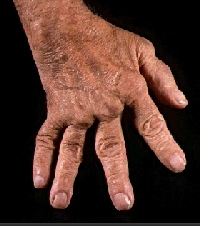 As I wrote in a blog entry earlier this month, at least one-quarter of Americans have arthritis or a related disease. Many of these people are likely taking arthritis drugs, and the safety of a popular arthritis drug is in question after a Canadian study showed it may increase the risk of congestive heart failure. Arthritis patients taking Vioxx, also known as rofecoxib, were 80 percent more likely to be put in the hospital for heart failure. The research builds on findings that suggest Vioxx, and other anti-inflammatory drugs like it, may increase the risk of heart attacks and damage kidneys. The good news is that there are alternatives to anti-inflammatory drugs for arthritis and you can learn about some of them now.